We are a leading manufacturer, supplier and exporter of industrial packaging machines. Our wide range of machinery is equipped to meet packaging of commodities in solid, liquid and powder form. 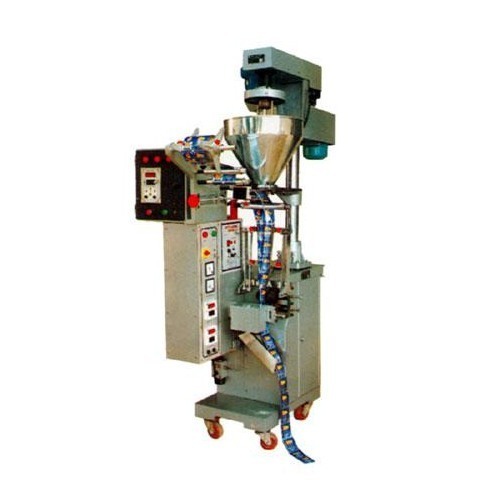 They include Candy packing machines, Horizontal pillow packing machines, Automatic sealing machines, Automatic FFS machines with gas flushing, Automatic FFS machines with gas flushing and disc adjustable, Automatic FFS machines for liquids, Auger base form fill & seal machines and Powder dozing machines (Auger Filler). The machines are made using good quality metal, motor and other raw materials which we source from trusted vendors. Our infrastructural facility comprises state-of-the-art manufacturing unit to meet the diverse production requirements. A spacious warehouse has been set up for the safe storage of the products. We are backed by a professional team of employees who are highly qualified and ensure strict adherence to industry norms and practices. With a strong focus on quality, we manufacture products that have been approved by the government of India for its superiority.